Rather than putting millions more dollars into traditional public assistance programs, he has instituted policies that effectively limited access to them and instead steered would-be beneficiaries into welfare-to-work programs. The key to reducing poverty, he said, was getting people off the assistance rolls and into the workforce. A Brownback commercial airing for his re-election campaign claims the strategy is working. It says that “welfare has been cut in half” by the governor’s welfare-to-work program. The claim refers to a reduction in the number of Kansans enrolled in the state’s Temporary Assistance for Needy Families program. According to the Kansas Department for Children and Families, TANF enrollment has fallen by 54 percent over the past four years, dropping from 38,963 in the 2011 budget year to 17,681 in the 2014 budget year. Similarly, the number of low-income parents – single mothers, mostly – receiving monthly child care subsidy payments has dropped by 27 percent during the same four-year period. “We’re seeing individuals moving out of poverty through employment,” said Theresa Freed, a DCF spokesperson. Reducing the number of Kansans receiving public assistance isn’t the same thing as reducing poverty, said Shannon Cotsoradis, president and CEO of the advocacy group Kansas Action for Children. The recent KIDS COUNT report compiled by KAC shows that Kansas’ childhood poverty rate declined by 2 percent from 2012 to 2013. But other economic indicators showed more Kansas families struggling to make ends meet. The percentage of Kansas children receiving free or reduced-price lunches at school is a good barometer, Cotsoradis said. In the 2010-2011 school year, about 47 percent of Kansas children qualified for free or subsidized lunches. Now, for the first time, more than 50 percent qualify. Children are eligible for free school meals if they’re living in households with incomes below 130 percent of poverty and eligible for reduced-price meals if they’re in households with incomes between 131 percent and 185 percent of poverty. Recently, the Brownback administration claimed in a DCF news release that its new welfare policies also had reduced poverty in the state. Several days later the agency acknowledged it had made a mistake. 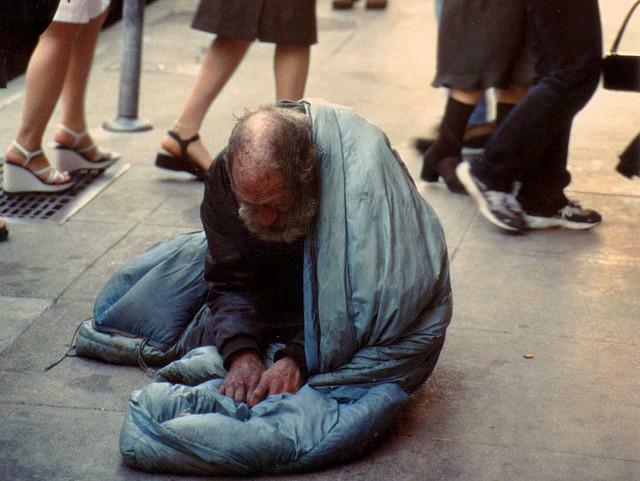 The state’s poverty rate as calculated by the U.S. Census Bureau’s Supplemental Poverty Measure remained essentially flat, inching up to 11.8 percent in 2013 from 11.5 percent the year before. The Supplemental Poverty Measure uses a formula designed to calculate the effects that regional cost-of-living variances and state public assistance programs have on household incomes. Phyllis Gilmore, secretary of DCF, said while the official numbers don’t yet show it, the administration’s policies are working to reduce poverty. One doesn’t necessarily follow the other, said Annie McKay, executive director of the Kansas Center for Economic Growth, a nonpartisan think tank formed as a counter to conservative groups that lobby for lower taxes and smaller government. Many of the jobs being filled by former welfare recipients pay wages that keep them in poverty, McKay said. She said more than 25 percent of working Kansans need some kind of help to pay for food, utilities, transportation and child care. Debbie Snapp, who runs the Catholic Social Service office in Dodge City, works with struggling families every day. She said most of those who need help have jobs. Jan Haberly oversees The Lord’s Diner, a Catholic Diocese of Wichita-sponsored program that each day prepares and serves 2,700 evening meals to the city’s homeless and low-income. Haberly said she’s long questioned the practice of using the federal poverty level to define whether someone is poor. Poverty in suburban Johnson County doesn't look like it does in urban Kansas City, Kan., or rural parts of the state. And that makes it harder to address a growing problem in a part of the metro seen as affluent, says County Manager Hannes Zacharias. 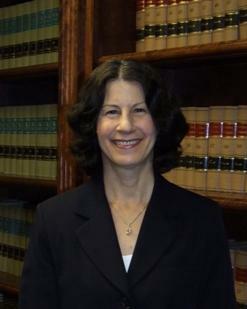 Julie Levin has worked with Legal Aid of Western Missouri since 1977. In that time, she's had some monumental cases, from a suit against the Kansas City Housing Authority in 1989 that changed the face of public housing, to a case on behalf of a client who lost her job while on maternity leave. That last case went all the way to the U.S. Supreme Court. In 1989 Michael Katz wrote the first edition of The Undeserving Poor and changed the way we talk about and understand poverty. He directly addressed the question of who is responsible for the victims of poverty. His recently revised second edition came out last month, numerous aspects of poverty have completely changed, while others have persisted and some have even expanded over the last two decades. On Wednesday's Central Standard, we talk with Michael Katz about his work and some of the deepest challenges regarding poverty.